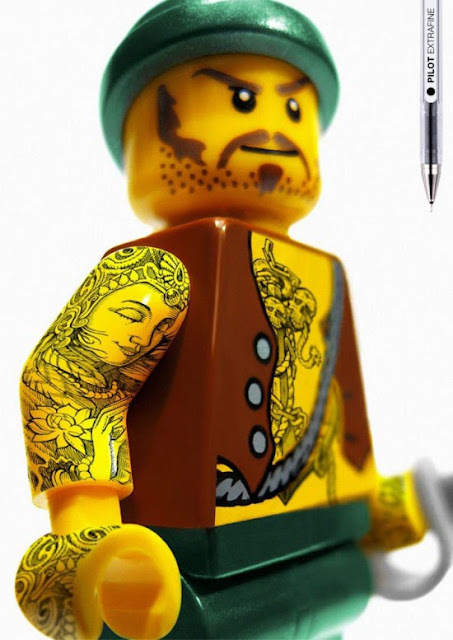 Just about to head to the pub and then on to the Barbican to watch The Illusionist but couldn't resist adding these brilliant adverts first. 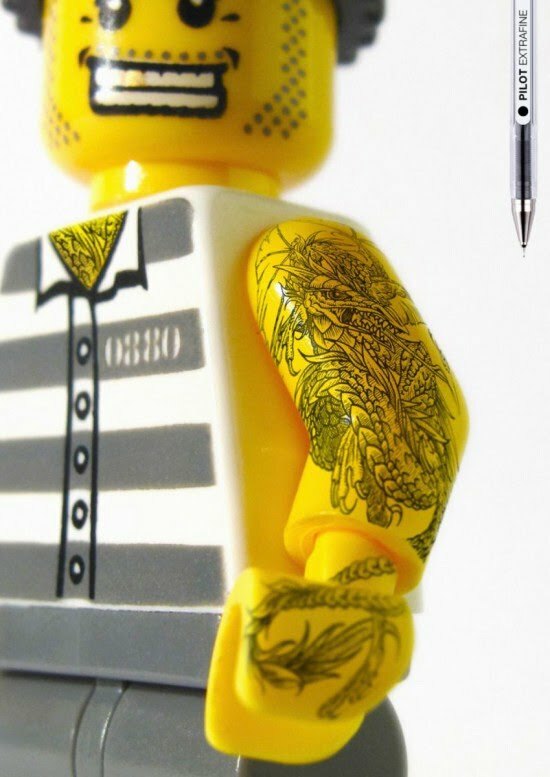 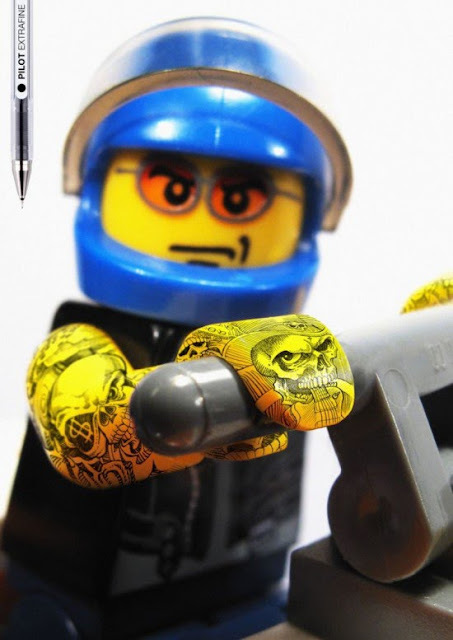 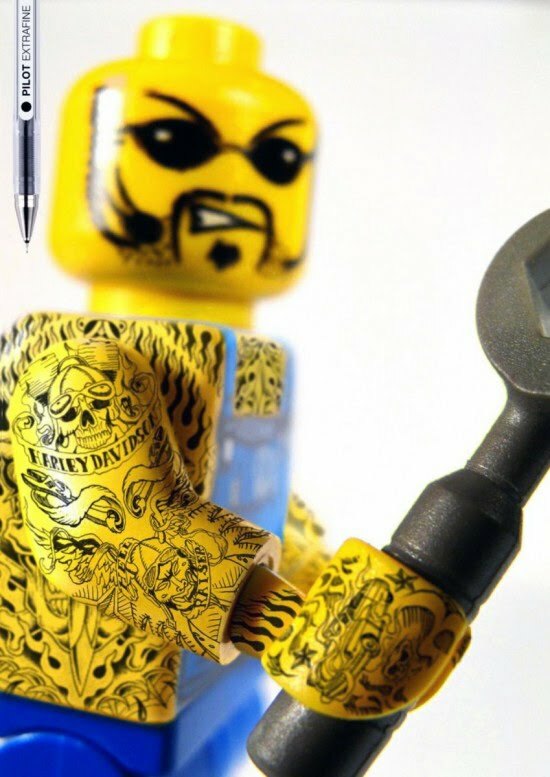 This tie up between Lego and Pilot Pens sees individual Lego figures given super detailed tattoos to highlight the superthin lines produced by Pilot's extrafine pens. This genius idea was creatd by 2010 cannes award winning advertising agency Grey from Barcelona.